Recently, I read Ken Greenberg’s book Walking Home where is shares his lessons learned as a “city builder” in various cities around the world. One of his comments that sticks in my mind is “mayors are the chief designers of their cities.” That got me reflecting on how Calgary’s mayors have influenced the design of our city over the past 35 years, when just four very different mayors governed our city. Unlike the USA, any Mayor in Canada has limited power to drive his/her agenda - unless their power of persuasion can convince the majority of their Council members to buy into their vision or agenda. That being said, Calgary has benefitted from having strong mayors for 35+ years, each capitalizing and adapting to the economic cycles of our boom and bust economy. Calgary entered the 1980 in a building boom that rivalled that of today, however the Federal government’s National Energy Program (NEP) quickly put Calgary into a recession that lasted into the mid ‘90s. Post-NEP, Ralph Klein adopted a Roosevelt-style of government, negotiating with the Province to help fund major city projects like Northeast LRT, Municipal Building and Performing Arts Centre. He was instrumental in the negotiating with the Province to ensure Calgary’s Saddledome got built for the Calgary Flames and 1988 Winter Olympics. Klein, and then Premier Peter Lougheed enjoyed a synergistic relationship that was instrumental in getting not only the Saddledome built but also the Northwest LRT constructed in time for the Olympics. Therein lies an important lesson - it is critical for Calgary’s mayor to have a good working relationship with the Premier and his cabinet. Master of persuasion and relationship building - with citizens, other governments and the President of the International Olympic Committee - Klein was pivotal in making Calgary an international city, much like Nenshi is today. The Saddledome at Stampede Park on the southeast edge of downtown. The Municipal Building, old City Hall and Olympic Plaza. Construction of the Performing Arts Center with its concert hall and four theatre spaces with a total of 3,200 seats, made it one of North America's largest centres in 1985. The early ‘90s was a period of little growth in Calgary. We were still in a recession and our infrastructure was in pretty good shape, so much so that there were no tax increases for five years. As a planner, Mayor Al Duerr realized this was a good time to review outdated planning documents like the Transportation Plan, so he initiated a community engagement process that resulted in the Go Plan being approved in 1996. The process was critical in that it forced Calgarians to look into the future and determine what kind of city they wanted to build. One key issues at the time was mobility and lengthening commuter times – sound familiar. A key idea of the Go Plan was the creation of mini downtowns in the suburbs, allowing some of those who lived in the ‘burbs to live work and play close to home. Today, were are doing just that with, for example Brookfield Residential’s SETON and Livingston’s town centres, as well as urban villages at Westbrook, University and Bridgeland LRT Stations. The city and development community have also created significant new communities in the SE and NE quadrants close to the city’s large manufacturing, warehouse and distribution employment centres, making it possible to live work and play without crossing the Deerfoot Divide. Another major decision of the Go Plan was no new Bow River crossing. Calgarians were already starting to think about the environment, our rivers and sustainable growth. Before the Go Plan, the City plans called a river crossing at Shaganappi Trail (in Montgomery) and another one in Bowness. Unfortunately, without these crossings and the City’s significant residential only growth on the westside, we now have the Crowfoot Trail crisis. Under the guidance of Duerr Calgary became a more “caring city.” He was instrumental in the development of the Calgary Homeless Foundation in 1998, which was unique in North America at the time and a far cry from the Klein’s famous “creeps and bums” fiasco. By the end of Duerr’s reign, a new Transportation Plan was in place, setting the stage for Bronconnier, the builder and project manager, to take over the reigns. The Bridges is a master planned community on the site of the old General Hospital on the northeast edge of the City Centre, based on transit oriented development principles. Dave Bronconnier had an agenda and was always ready to share it. From day one, he said we needed to improve Calgary’s infrastructure and he delivered. Bronco (his nickname for good reason as he rode the horse no matter how hard it tried to buck him off) knew how to count to 8 (not seconds) Alderman as that is what he need for a majority vote at Council. By 2004, he had successfully negotiated with the Province to get a share of the gasoline tax paid in Calgary for infrastructure projects. With the funding in hand, he was the catalyst for the extension of all three legs of the LRT out to the new suburban communities and the funding and design of the West LRT on time and on budget. Bronco, recognizing the need to balance the city’s investment in both transit and roads, included several major road projects including the gigantic GE5 (Glenmore, Elbow Drive and 5th Street underpass), as well as numerous over passes at key intersections around the city as part of his agenda. He was also instrumental in realizing the mega East Village makeover after over 20 years of false starts by negotiating with the Province an innovated new funding model based on the USA’s TIF (Tax Increment Financing) model. And he was able to convince his colleagues on Council to form the controversial Calgary Municipal Land Corporation to develop and implement a master plan for East Village utilizing both the city and private sector lands. 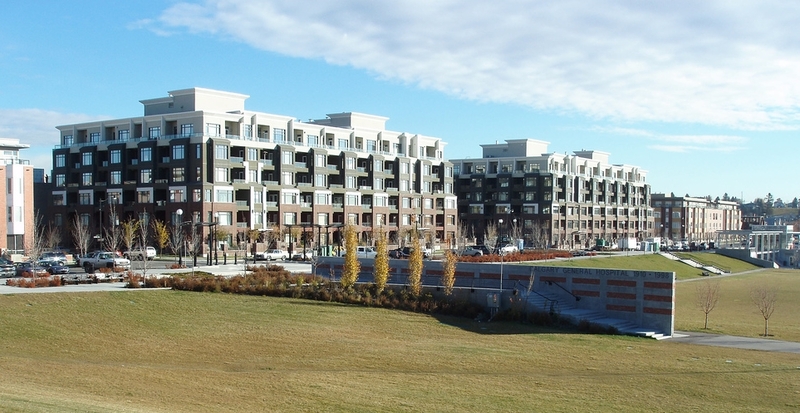 East Village has the potential to become Calgary’s postcard to the world of urban planning and living. I am told Bronco was able to negotiate an amazing $15B from the Federal and Provincial governments for Calgary infrastructure projects during his term. He was instrumental in working with other Big City mayors to get municipal funding from the Federal Fuel Tax and Federal GST refund. The latter provided seed money for Calgary's new Science Centre and Library as well as major upgrades to Heritage Park and the Zoo. He was also instrumental in setting up the ENMAX Park Fund. Bravo Bronco! Perhaps it is too early to tell how current Mayor Nenshi will shape our city, but already he has exercised his persuasive powers to get the controversial Airport Tunnel approved (only time will tell if this was the right decision). Nenshi, a tireless champion of the need to create a more urban Calgary, has encouraged more dense communities at the edges of the city and infilling of older existing communities. To date, several major inner-city urban village projects have been approved Stampede Shopping Centre, West Campus and West District. To date, he has been less successful when it comes to the approval of secondary suites and cutting the red tape around the approval of infill projects in established neighbourhoods to allow for more density and diversity. However, it is not for lack of trying! He has been a strong advocate for making transit a priority and trying to get funding for both the North and SE LRT legs. While the funding for LRT is still a long way away, a BRT (Bus Rapid Transit that will run along the same route as future LRT tracks) program is in the works as the first phase in the development of these two “game changing” transit routes. Nenshi has also been an outstanding ambassador, building the City's reputation internationally as a young, hip, progressive city. At home, his negotiating skills will be tested by the City's growing urban/ suburban divide, the long list of "wants and needs" vs revenues and the growing NIMBYism in established communities. Greenberg identifies “civic pride” as a key ingredient to successful city building. I doubt Calgary’s civic pride has ever been higher than it was after the Olympics in 1988. Unless of course it was after the 2013 flood, when Calgary demonstrated its amazing community spirit, under the leadership of Mayor Nenshi. While no mayor is perfect, Calgary has been very fortunate to have effective mayors who for the past 35 years have helped Calgary evolve into one of the most liveable cities in the world.